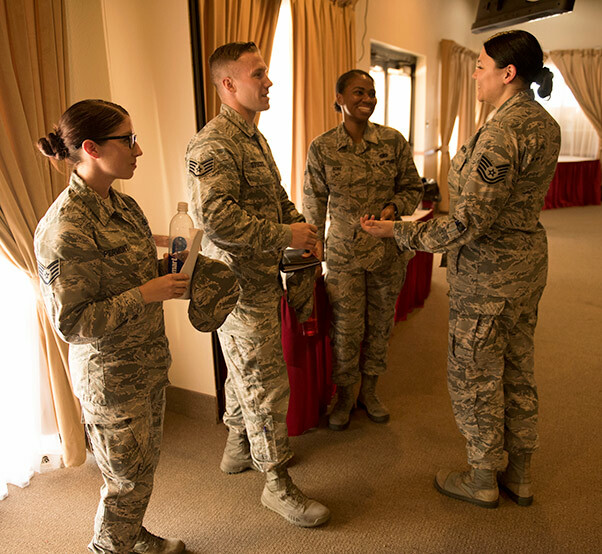 Members of 56th Fighter Wing Protocol office discuss protocol procedures following a town hall led by Secretary of the Air Force Heather Wilson, Aug. 24, 2018 at Luke Air Force Base, Ariz. The protocol office is the focal point when it comes to hosting distinguished visitors, handling official ceremonies and taking care of invitations for wing events. From planning base tours and interacting with foreign military officials to overseeing pilot graduations, the dedicated and behind-the-scenes work of protocol Airmen is never done. 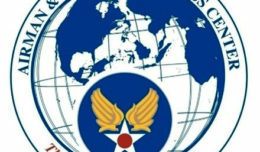 The 56th Fighter Wing Protocol office at Luke Air Force Base, Ariz., is the focal point when it comes to hosting distinguished visitors, handling official ceremonies and taking care of invitations for wing events. The protocol office also handles details that many may overlook such as personalized marquees, having water readily available so visitors are comfortable in the Arizona heat, and coordinating lodging and transportation for guests. Often times, protocol is the first contact visitors have with the wing. They regularly have the opportunity to meet a variety of influential people and showcase Luke’s mission. Winfield goes on to explain the different ways protocol works together to make a visit to Luke Air Force Base a successful and memorable one. One way the protocol office accomplishes this is by establishing a theme for the guest and then accordingly basing their experience at Luke off of what they want to learn about. Protocol also frequently engages with the community and different on-base organizations. Keeping bonds within Luke strong and not only being part of the community, but being actively engaged in the community is key. The protocol office manages on average three events a week. Although it can be a demanding job, it supports the successful accomplishment of Luke’s mission.